If you are a diva who loves to turn heads wherever you go and this delightful drape is a must have item for your closet. 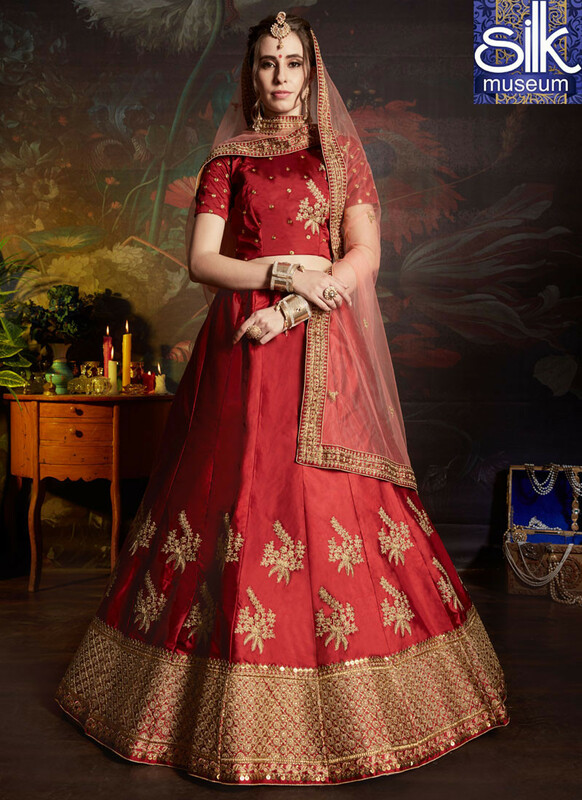 Women beauty is magnified tenfold in this alluring maroon satin lehenga choli. You can see some fascinating patterns done with embroidered, lace, resham and zari work. Comes with matching choli and dupatta.